In the original Hindu culture (and indeed most religious customs), sons inherited most of the wealth of the parents. The parents of the bride used to give dowry to their son-in-law, as they would transfer their own wealth to their sons. For example, if a family has a total wealth of 10 lakh Rupees, they will give 5 lakh Rupees as dowry to find a groom of similar status while giving 5 lakh rupees as inheritance to their sons. Of course, the son being the presumed owner of 5 lakh inheritance, he usually received 5 lakh as dowry for himself when he gets married. So in total the wealth remained more or less equal, provided everything was equal- the status of bride and groom. But this dowry system could also be used in a way to give a better life to daughter by finding a better groom for 6 lakh dowry rather than just 5 lakh dowry, thus leaving the son with only 4 lakh inheritance and hence only able to get a girl of 4 lakh dowry for himself. Given that Hindu society of the old was agricultural in nature and had strict laws against marrying within ones village, dowry was a perfect system to keep ancestral property i.e. land with the sons since they did not leave the village. While girl child would get gold and other transferable property, the son usually got the land. Some people might object to the division of ancestral property in the above example as equal while it is unequal in the real world. But in the same real world, girls were also not supposed to take care of their old parents. Since the sons were supposed to help their old parents, they naturally got higher share in ancestral property. Also if a girl got lower share in her ancestral property through dowry, her husband got higher share in his ancestral property thus nullifying the overall effect on their family wealth. While this system on surface seems like it is objectifying women by associating a price for their marriage, it is very far away from truth. The price tag of dowry does not come from wealth alone. If a groom is very good guy with no bad habits, a good job and a good degree, then he is much more likely to get a better dowry than simply because of his family’s wealth. This is exactly opposite for the groom, who is a known alcoholic with no stable job and is general burden for the society. He is unlikely to get any dowry at all for his marriage. Actually it would be a great achievement for such a person to get married!! So if dowry is objectification of women, then it should also be seen as objectification of men. Men are objectified for their behaviour, job, wealth, status and family wealth. The truth of the matter is, the bride’s family is willing to pay the bribe precisely because they think the groom is worth the dowry they pay him. Isn’t that objectification of groom by putting a price tag on him? So why don’t the men go around complaining that they are getting objectified? The truth is, the world sees someone for what he/she is worth to the world. This is reflected in the dowry system too. A groom with good looks, good job, good status, good family will be more guaranteed to provide a good life for the bride and hence the bride’s family tries to lock him up for their daughter with dowry. Similarly beautiful, more cultured girls, and these days even working girls with good education (specially in more developed states like Tamil Nadu, Maharastra, Gujarat etc) etc will have higher demand than the ugly or uneducated girls and hence would be able to match with ideal grooms with much less dowry than ugly and uneducated girls. While it is politically correct to mince words on this issue and dance around this fact to protect the presumed sensibilities of the easily offended snowflakes, who prefer emotions of how innocent all women are and how evil all men are, it is much more important to confront this issue. Hence, dowry is a complex system of measuring and price gauging both bride and groom’s worth and is a way for the parents to give their girl children their wealth. But since dowry always goes from brides to grooms, does this not mean that dowry is inherently misogynistic? Of course not. The groom already brings his own inheritance as wealth to the family the new couple will start while the bride doesn’t. So the dowry which the bride brings is only a fair contribution which the bride makes to start a new family. In simple words, grooms do bring dowry to family in the form of inheritance while brides bring dowry and no inheritance. But now the inheritance laws have been changed so that daughters have equal share in the properties of the parents. This largely negates the need for dowry, since bride herself brings inheritance, much like how groom’s used to bring their inheritance for starting a family. Also in some cases, the girls family might give more dowry over the inheritance if they find the groom to be worth it and it should be completely fine. They are not being forced into marrying a groom who asks for dowry but are choosing him after fully knowing that he is asking for dowry and then deciding that it is worth giving the daughter in marriage to the guy because he will take care of the girl better than some other guy who doesn’t take dowry. This is perfectly fine as long as it is voluntary. This is also another example where it is easier to see the baseless propaganda against dowry. Lets say that there are two families A and B and they want to get married. A has 20 lakh of wealth while B has 30 lakh. A decided to marry off their daughter to son of family B giving family B 20 lakhs as dowry. As per the present propaganda, this practice of dowry is evil. Now let’s take another example where there are two families C and D where C is worth 20 lakhs while D is worth 30 lakhs. Then family C gives their daughter in marriage to son of family D but without any dowry. But after the death of family C, the daughter and hence the son-in-law inherits all the money/wealth of family C which is again 20 lakhs. Is the latter case any good or better? Is there any difference in the reality of former case of dowry vs the latter case of inheritance? Of course not, at least for people with normal logic except brain dead and brainwashed feminist zombies. So why is dowry demonized by media while inheritance of property by bride/daughter is seen as triumph of women’s rights? Does this make any sense? Is the dowry system perfect? If dowry is not that evil as it is portrayed in the media, does it mean it is perfect? Of course not. The problem with dowry isn’t what the feminist lunatics and social justice warriors in academia and media cry about. The problems with dowry system is the break of trust after marriage or at the cusp of marriage- whether on the groom or the bride side. Some times, the bride’s side decides to dupe the groom’s side into thinking that they would give a much larger dowry while actually they don’t. This of course is morally wrong for any unbiased observer (except feminist harpies) because it is plain cheating and breach of trust. To put this into perspective, imagine a groom’s family cheating the bride’s family by claiming they are billionaires before marriage but the falsehood comes out before the time of marriage or after marriage. Wouldn’t the bride’s family be pissed off at groom’s family for cheating? And if the brides family comes to know that the groom isn’t as qualified as it was advertised to them or that the his claim of being a billionaire is a lie, isn’t the bride’s family justified in cancelling the wedding to save their daughter from a bad deal? Fact is neither the society not the law would think that such a cancellation of marriage was inappropriate or wrong. But imagine if the bride’s family makes false claims, including but not limited to a dowry of certain amount, and the groom’s family comes to know about this fraud, why should it be wrong for the groom’s family to cancel the marriage? Is it any different from the previous scenario except for the gender swap? So why is the latter punished for asking dowry, when girl’s family voluntarily agrees to dupe the groom’s family? This leaves the last issue related to dowry and the one where state can intervene. The real problem with dowry starts when the groom’s family asks for more dowry from girl’s family after marriage and wilfully creates problems for the girl. This of course is completely wrong from a moral point of view as it amounts to breach of contract. Any such incidents should be punished by law without fail, if proven in court. This is where the article 498A should come into play, even though it needs tweaking in the current form to prevent its abuse. This is the only part of dowry which causes deaths and hence should be strictly prohibited and punishable. But what about the fate of poor women who can’t give dowry? This is a false question designed in a way to prey on the inherent biases humans have to favour the problems of women over men, the reason why most people in India still support article 498A in current form even though it destroys nine “innocent” men for every woman it avenges, which is completely antithetical to the idea of innocent until proven guilty. There are countless men who would of course marry without any dowry but one does not see girl’s parents queuing up to marry them. Why? Because the girl’s parents want their girls to get a good husband for a cheap price (yes, dowry is objectification of men for their job, wealth, family, status, power etc) and that’s why there is so much propaganda about the poor man not being able to find a groom for his daughter. The proper sentence or issue here is not that the poor man is not able to find a groom because of dowry, it is that the poor man is not able to find a high quality groom as per his wish because he cannot afford the high quality grooms. Of course there are men who are unemployed bums and drunkards who would be willing to marry for nothing. Why don’t the poor guys marry their daughters to them? Wouldn’t that automatically solve the dowry problem without any state intervention? They want their daughters to marry doctors, government employees, civil servants and engineers at a low cost. But the problem is, there are other girl parents who are willing to pay lot more dowry than what the poor father will pay for these professional grooms from rich families. The statement or complaint that dowry cause poor girls to not find grooms is analogous to saying poverty ridden people in India cannot afford to buy Audi and hence Audi sales is evil. It may not be politically incorrect to say so, but this is the ground reality. The hysteria against dowry system without actually understanding what it is is another example of how cancerous feminist ideology and women’s groups pushing for more 498A style laws in India are. They just want to increase the power of women at the expense of men. This can be demonstrated by the fact that the same anti-dowry activists who see that a doctor demanding dowry from the girl should be punished don’t ask for the punishment of the girl for insisting on marrying the doctor without bringing anything worthwhile to the table. This is not to say that money is everything and dowry has to take the form of money alone. Money is but one form of dowry, the other being good qualification, good looks of the girl etc. If the doctor demanding dowry to marry a particular bride is wrong, isn’t it equally wrong for the bride to insist on marrying a doctor i.e. a person with lots of money and respect in the society? Should men take the route of these women empowerment groups and start demanding that women marry them regardless of their qualifications and family status? If that position is ludicrous, shouldn’t the position that all dowry is evil also equally ludicrous? And if Indian parents are more than happy to put in effort and money to ensure a better future for their daughters, why should feminists complain? The west has a broken family system, but it does not mean that Indians who have good family support should also reject it. And this is another example of intellectual dishonesty by feminists. They claim that dowry is misogyny and affects only women. But they fail to acknowledge that dowry objectifies men as well, because women and their families see men as wage earning, high status serving machines which come with a price tag. Turning it into gender war is completely bogus. How is dowry, which is for the overwhelming majority, worked and earned by men (brother or father of the bride) and given to groom’s family (usually the mother of the groom) oppression of women? For all the loud noise made against dowry for the past 50 years, fact is that the propaganda did not change zilch on the ground. This itself should have forced any sane academic to re-analyse their theory but not feminists. The simple reason that dowry still exists is that it provides a good market mechanism to match brides and grooms. 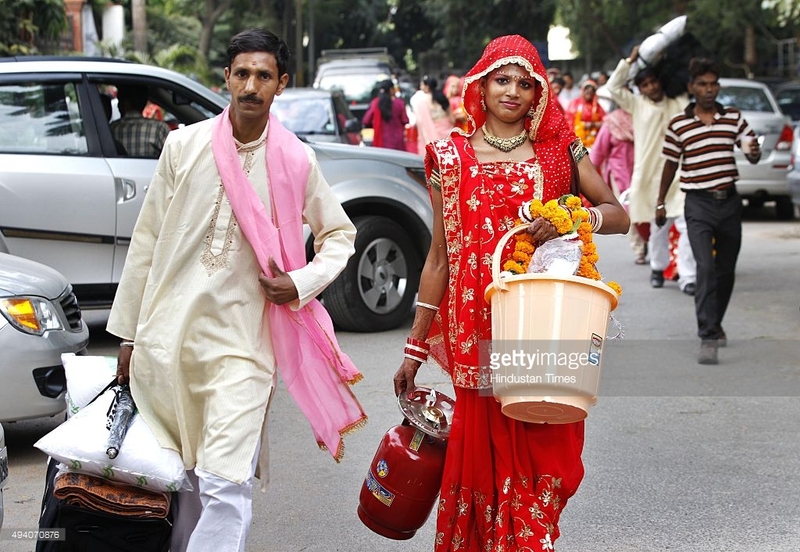 For the ivory tower feminists, it might seem as oppression but the parents who want better life for their daughters use dowry as a way to marry them with better groom in a better household. Since they care for reality rather than ideology, they hardly pay any heed to this intense propaganda. In case you want to know what dowry you should demand, check this. Also watch the below video by Madhu Kishwar to get more nuanced idea about this issue. In one part of the video she calls it groom price rather than dowry! !